Tax professionals are in demand these days. With tax reform, the budget deal, and the surprising tax extenders, taxpayers have lots of questions about how the changes will affect them and their families. Those questions won’t stop when tax season is over, they’ll resurface next year, when tax reform’s true impact will be felt. Change and confusion are two reasons people turn to tax professionals for help. More than half of all individual taxpayers consistently use a professional tax preparer to file their taxes. The IRS projected that more than 155 million individual taxpayers would file tax returns in 2018. That means that about 80 million people likely will pay a tax professional to file their taxes. The Tax Cuts and Jobs Act, signed into law by President Trump, is one of the biggest changes to the tax code in about 30 years. Although one of the goals of tax reform was to simplify the process for taxpayers, some of the changes have added to the confusion. Take the new rule for pass-through business deductions, for example. The law allows some small business owners to take the new pass-through deduction. One group it excludes from the deduction is personal service business owners. However, the law is not as clear as it could be on what constitutes a personal service business, and that has led to some confusion. As if the new law wasn’t enough to keep tax professionals busy, Congress approved a budget deal that surprisingly included so-called tax extenders, such as the above the line deduction for college tuition and fees. Many thought those tax credits and deductions, which had expired in 2016, were not coming back, but there they were in the budget deal as retroactive tax breaks. Now, even the IRS is trying to figure out how to handle the change. That ability to help franchisees succeed matters in the tax industry. Tax preparation services is an $11 billion market, according to IBISWorld. Tax preparation also ranks as one of the most profitable industries for small business owners, according to Entrepreneur. Franchise owners in the tax space must deliver on customer service because that is what keeps taxpayers coming back. 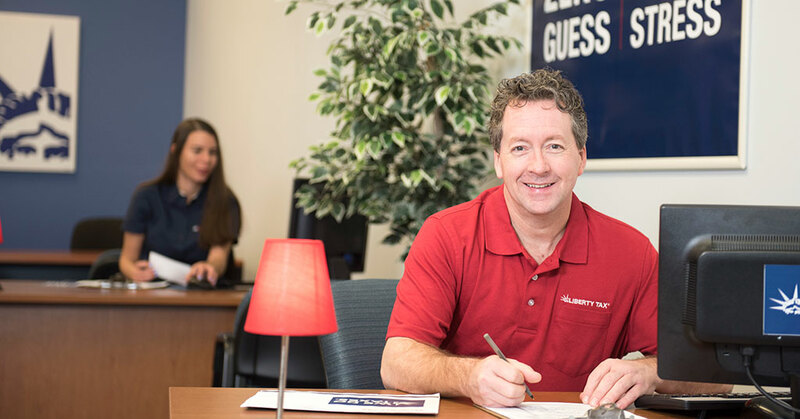 Liberty Tax has been in business for more than 20 years, and the Company has always put customer service first. With more than 4,000 offices across the U.S. and Canada in the last fiscal year, Liberty Tax has built its reputation as a trusted tax preparer. Liberty Tax has consistently been included in the exclusive Franchise 500 list developed each year by Entrepreneur. The Company is also recognized as a Top Tax Firm by Accounting Today. The Company’s leadership, experience, proven system, and the reliability of taxes have made the franchise a leader, and one that provides a great opportunity for those looking to own their own business.